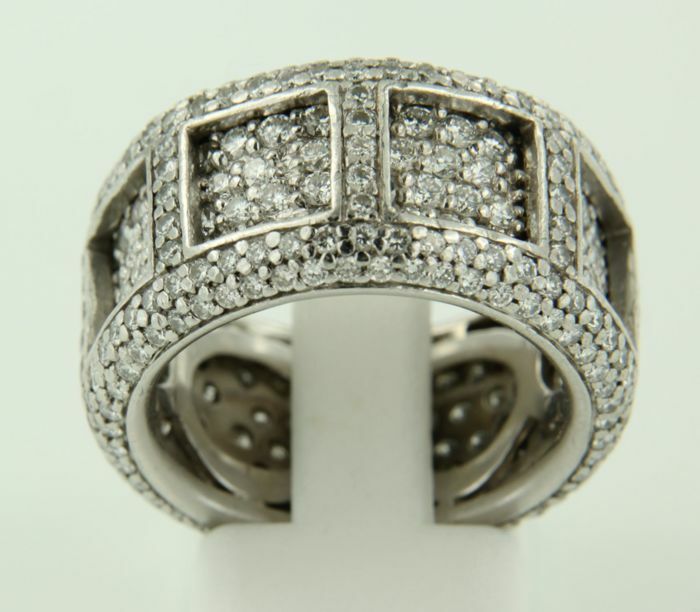 18 kt White gold ring set with 366 brilliant cut diamonds, approx. 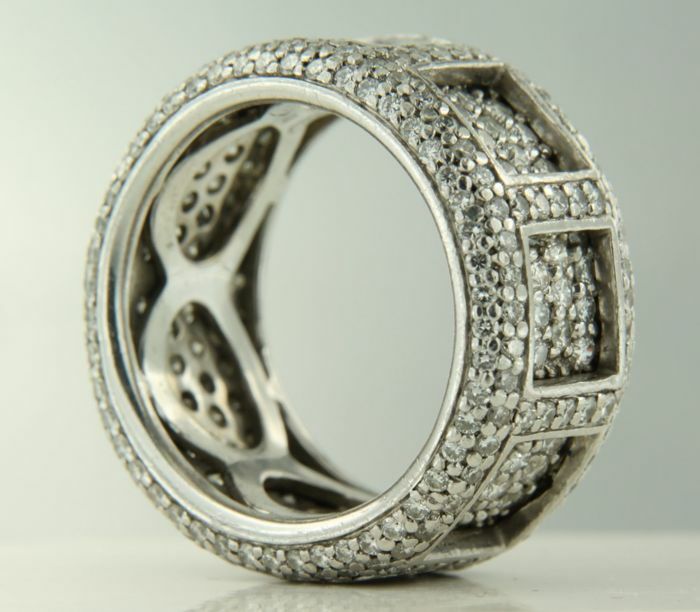 4.12 carat in total, ring size 18.5 (58). 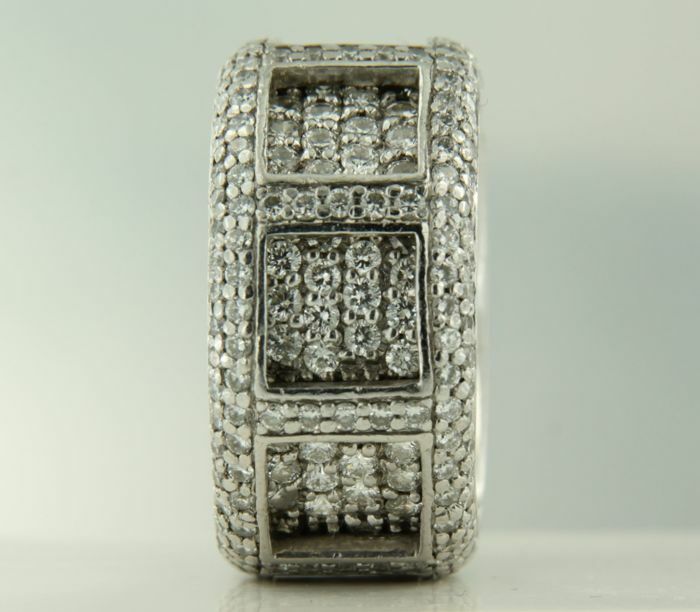 18 kt/750, 18.6 grams of gold, with diamond, 4.12 carat Top Wesselton VS/SI. 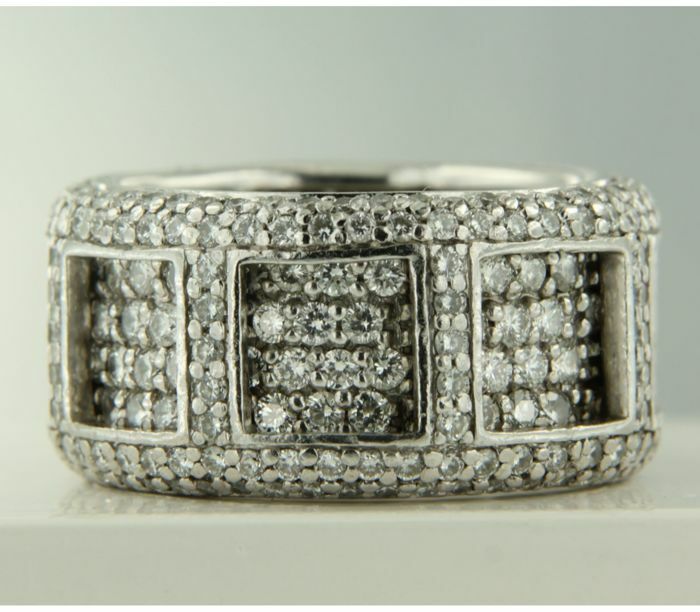 The width of the ring band is 1.2 cm wide. 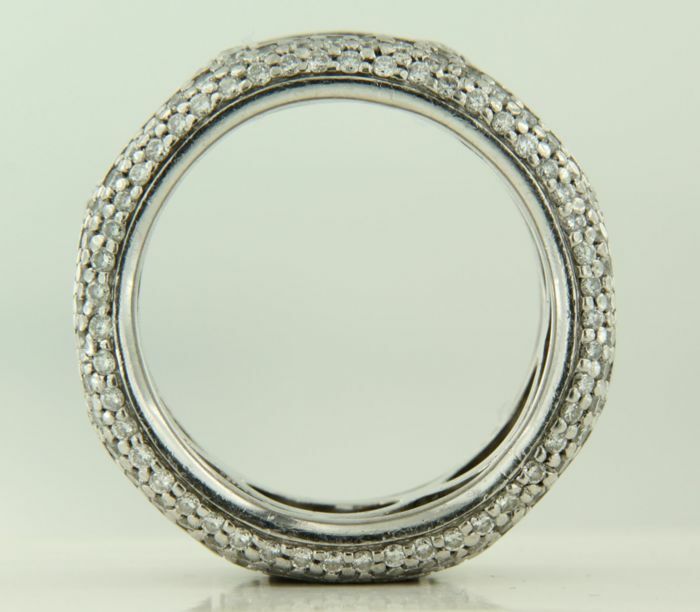 – 126 x 1.7 mm brilliant cut diamond, approx. 2.52 carat in total. 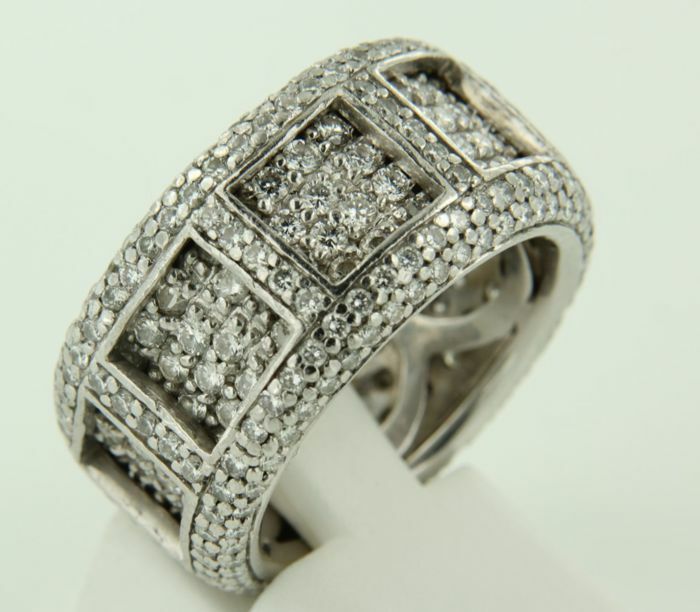 – 40 x 1.5 mm brilliant cut diamond, approx. 0.60 carat in total. – 200 x 1.0 mm brilliant cut diamond, approx. 1.00 carat in total. Diamond weight in total: 4.12 carat. Marked 18 kt by Waarborg (guarantee) Holland.